Adapter: For Karcher K Series. Snow Foam Lance for Italian Nilfisk Kew Alto Wap Car Pressure Washer 1L. 1x Foam Lance Bottle. Motorcycle Light. No muzzle. Just for spray foam, you can be equipped with muzzle by yourself, and removing the foam pot can wash car. Husqvarna Part # 588846302. Full Wrap Handle Kit with Spikes Fits 365 372XP. MJJC Pressure Snow Foam Lance Gun For Car Wash Jet Soap Spray Cannon Karcher K7. Snow Foam Gun Lance Soap 1L Bottle For Nilfisk New Type Car Pressure Washer MJJC. 1/4" Quick Connector Pressure Snow Foam Lance Car Washer Bottle Gun Cannon Jet. Do you want to trust your saw and safety to a foreign made knockoff?. It attaches to any chain saw in just minutes with a clamp and three special set screws, no need to drill the chainsaw bar. The Haddon LUMBER/MAKER has an adjustable bracket that allows it to ride on top of a 2x4 or 2x6 and guides the chain saw on a straight plain so as to cut any size lumber you desire. Trending at C $119.82eBay determines this price through a machine-learned model of the product's sale prices within the last 90 days. Available FOR ALL Pressure Washer Models ! TOP QUALITY! Rated Power：100W （Max）. 1X Copper head water gun. 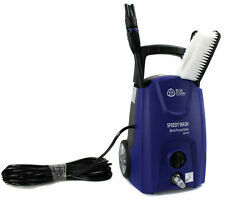 Mini and portable car washer, easy for you to carry along with you. 1X Foam Brush. 1X High pressure water pump. 1X White Water hose. 1X Red Water pipes. 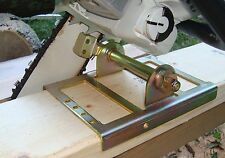 Fast & Easy Installation 9KGS Portable ChainSaw Mill. Include: 1PC Chainsaw Mill 1SET assembling Tool 1PC USER MANUAL. NOTE: The chainsaw and guide bar do not included. 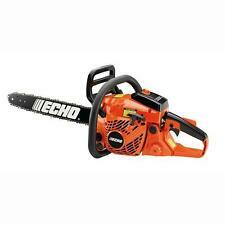 Attaches directly to your chainsaw bar. Replace part numbers: Zama RB-K93 A021001690 A021001691 A021001692. SRM-225 SRM-225i SRM-225SB SRM-225U. 3D HDMI Extender Over Single Network Extension Cable. 4/64GB10.1" Haier Smart Cleaning Robot Auto Robotic Vacuum. - With refined chain and sharp blade, it has good wedding effect. Battery & Power Station. Please feel free to confirm and ask if you are unsure these parts will work for your unit! . YOU WILL GET THE FOLLOWING PARTS:1 GAS FUEL TANK - WITH CAP 1 GAS TANK VENT 2 BOLTS 4 NUTS 1 FRONT PLATE ( USES EXISTING SCREWS ) 1 REAR MOUNTING PLATE WITH PLASTIC COVER ( USES EXISTING SCREWS ) LAST PHOTOS ARE OF THIS INSTALLED. 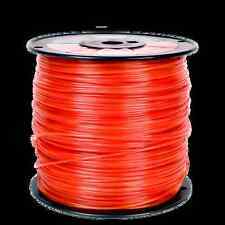 Includes: 1pc 2 in 1 easy file 4.0mm 3/8"P. Replace OEM NO. : 5605 750 4303. 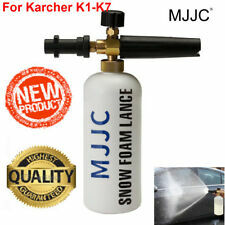 MJJC Pressure Snow Foam Lance Gun For Car Wash Jet Soap Spray Cannon Karcher K7. Professional Snow Foam Lance For Italian Nilfisk Wap Car Pressure Washer 1L. Snow Foam Gun Lance for new type Nilfisk. 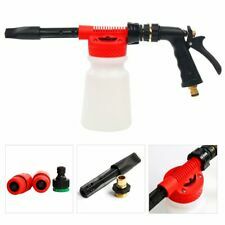 1/4" Quick Connector Pressure Snow Foam Lance Car Washer Bottle Gun Cannon Jet. 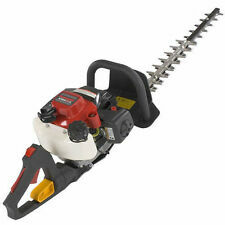 Fits: Chinese chainsaw 4500 5200 5800 Tarus (Taurus) Timbertech. B&Q ROK BBT Skatco Eckman and many other models. Weight: about 170g. Dog Supplies. Wind & Woodwind. Nail Care, Manicure & Pedicure. Yard, Garden & Outdoor Living. Bath & Body. Ideal for garden or agricultural use. Kitchen, Dining & Bar. Hair Care & Styling. 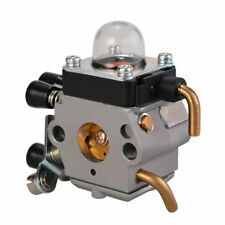 Type: Carburetor kit. 1x Carburetor. 1x Fuel Filter. 1x Air Filter. 1x spark plug. 1x Fuel line. USA, Canada, United Kingdom, Austrilia, France, Germany, Spain, Ireland, Italy, Others. Canada, United Kingdom, Austrilia, France, Germany, Spain, Ireland, Italy, Others. Type: Sand Blasting Pressure Tool. 1 x Sand Blasting Pressure Tool. Due to the difference between different monitors, the picture may not reflect the actual color of the item. Materials: Rubber Steel. TOP QUALITY!!! LOW $$$!!! TOP SELLING PRODUCT!!! Hole distances: 2-5/8" center to center between outer holes. 1-7/8" from center hole to outer holes. WORKMATE PARTS. DELTA PARTS. NAIL GUN KITS. PRESSURE WASHER PARTS. feature and select the ?. button at the top right of your first item. High carbon steel. Suitable for general brush cutting. Fits most petrol brush cutters. Material: High carbon steel. 2、The color may have different as the difference display, pls understand. 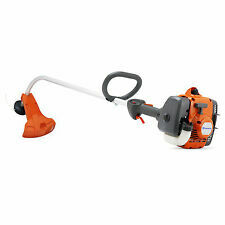 Compatible with: fit for Husqvarna 365, 371, 372, 372XP, 336. Due to light and screen setting difference, the color of item may be slightly different from the pictures. USA, Canada, United Kingdom, Austrilia, France, Germany, Spain, Ireland, Italy, Others. In addition to a snow blower, you may need a snowblower, a chainsaw, a pressure washer, and hedge trimmers for proper outdoor maintenance. These tools make maintenance of the exterior of your building simple and efficient, keeping your property looking good. When you're ready to replace your tools, you may want to consider these options. What energy sources does a power washer use? 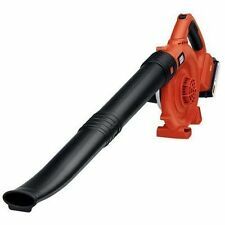 Electric - A corded power washer requires no gas and is good for cars, decks, and lightly stained driveways. Gas - This equipment is a good choice for commercial properties as well as larger jobs. They tend to be more powerful and efficient than electric models. Battery - The mobility of a battery-operated unit allows you to use the instrument for quick jobs such as boats or RVs. How do you determine what size chainsaw to use? Consider your project - Consider how thick the tree is as well as how much you need to cut. You'll want a short bar for smaller projects. Available space - Do you have a small amount of room to work in? You'll want a short bar and a non-electric source in order to maximize use of space. Length of time - If your project is short, you may be able to use a battery-powered unit with a short bar. If there are several trees, you'll want a non-battery device and a longer bar for efficiency. What types of snowblowers are available? Electric - Good for snowfalls less than 12 inches, an electric power source for this equipment is appropriate for flat, paved driveways. It will toss light and fluffy snow up to 30 feet. Single stage - If you have over 13 inches of fluffy snow and a paved, flat driveway, this machine will throw the snow up to 35 feet. Double stage - Ideal for wet and heavy snow on a hill or on gravel, these workhorses will eliminate snowbanks by throwing the snow up to 50 feet. Triple stage - These powerful tools will take care of the aftermath from harsh blizzards. The 28-inch base throws up to 21 inches of wet, heavy snow as far as 50 feet.